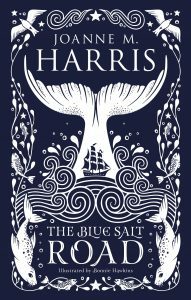 For this reader, The Blue Salt Road could not be more welcome in my harbour of a library. I love selkies (I have written a children’s story about a boy whose mother was one), I love folklore and I love Joanne M. Harris’s lyrical writing. 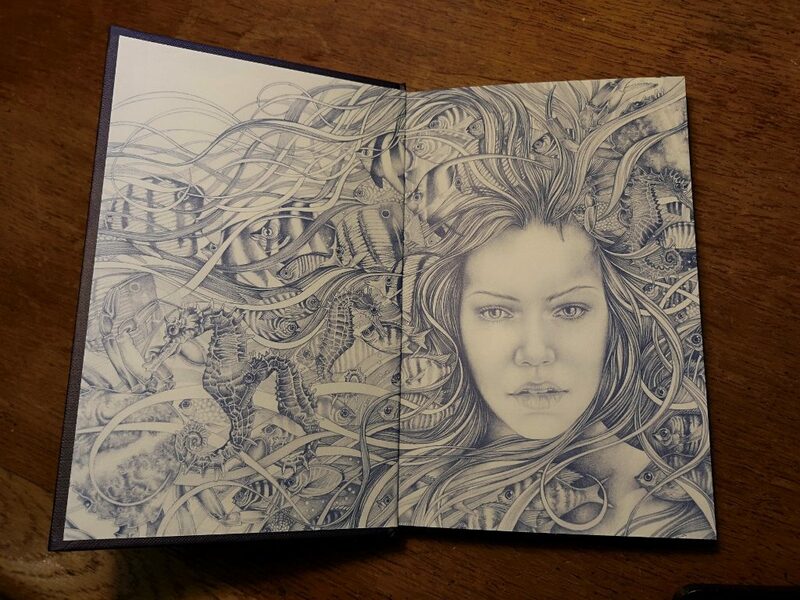 I was delighted, and just a little jealous, when I learned she was writing a selkie tale – and that Bonnie Helen Hawkins was illustrating it. Sue Gent’s cover is also gorgeous – silver on dark blue – and sits beautifully alongside A Pocket Full of Crows, with its gold and black. I believe there is to be a third novella inspired by the Child Ballads – which is a happy thought for this voracious reader of folklore. As with all the Child Ballads, don’t expect the underlying tale to be a jolly ditty typical of the merry singing peasants of Hollywood. Ballads are dark beasts, crammed with eeriness, beauty, violence and revolt. A Pocket Full of Crows was all of that – and so is The Blue Salt Road. The exquisite pencil illustrations by Bonnie Helen Hawkins (who ought to be in a ballad with that name) ground the story in reality and yet add to its strange loveliness. Both artist and writer know the natural world well and pick up on precise details which embellish the book. It is the story that matters, though. Complex, twisting between sorrowing and joyful like a seal wounded chasing after salmon, I can’t say more for fear of spoilers. The important point is that the original ballad has been transformed into something new and wondrous. If you love Margo Lanagan’s The Brides of Rollrock Island or Franny Billingsley’s The Folk Keeper, then this is definitely for you. This entry was posted in Review and tagged Bonnie Helen Hawkins, Child Ballads, folklore, Gollancz, Joanne M. Harris, Sue Gent by KMLockwood. Bookmark the permalink.